The Georgia Bulldogs have scheduled home-and-home football series against the Texas Longhorns for 2028-29 and the Clemson Tigers for 2029-30, UGA announced on Monday. Georgia will travel to take on Texas at Darrell K Royal – Texas Memorial Stadium in Austin on Sept. 2, 2028. The Bulldogs will then host the Longhorns at Sanford Stadium in Athens on Sept. 1, 2029. Georgia and Texas’ most recent meeting on the gridiron was in the 1984 Cotton Bowl. The Bulldogs won that game, which was their first win over the Longhorns. Texas defeated Georgia in their three previous meetings: 41-28 in the 1949 Orange Bowl, 26-7 in Atlanta in 1957, and 13-8 in Austin in 1958. Georgia will travel to face Clemson at Memorial Stadium aka “Death Valley” in Clemson on Sept. 15, 2029. The Bulldogs will host the second and final game of the series in Athens on Aug. 31, 2030. Georgia and Clemson are also scheduled to play in the 2024 Chick-fil-A Kickoff at Mercedes-Benz Stadium in Atlanta, Georgia on Saturday, Aug. 31. Georgia and Clemson first met on the gridiron in 1897 and have played 64 times overall. 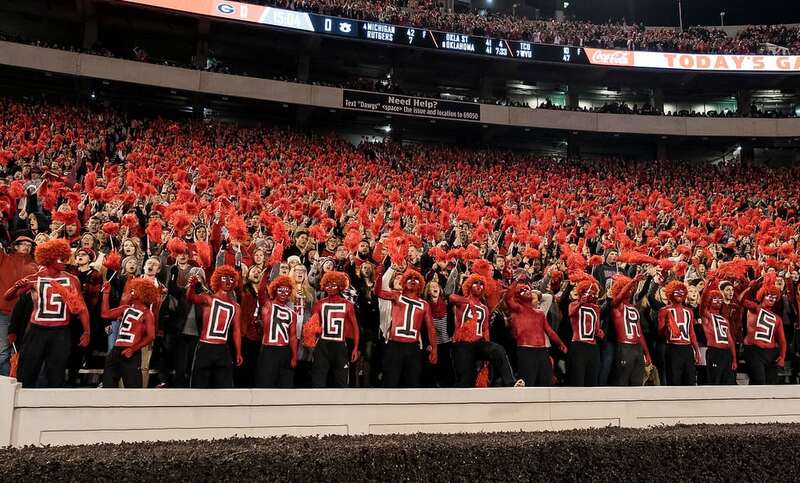 The two schools last met in a home-and-home series, with Clemson winning the first game at home 38-35 and the Bulldogs taking the second game 45-21 in Athens. UGA now leads the overall series 42-18-4. The addition of games against Texas and Clemson in 2029 to go along with the annual game against Georgia Tech means that Georgia will play three non-conference opponents from the Power Five that season. The fourth will likely be a lower FBS opponent or an FCS opponent.